In my experience of playing and loving most of the Musou games that come to consoles, it’s hard to get the Warriors formula right. There has to be the right balance between character roster, move diversity, and — in terms of the Fate/EXTELLA series — how true it is to the source material. Of course, there are other factors at play, but these are usually what I judge a Musou title by. Games like Fire Emblem Warriors and Dragon Quest Heroes played great and had some outstanding quality-of-life changes to the Musou formula, however, they were severely lacking in character diversity. The original Fate/EXTELLA: The Umbral Star had diverse characters, but most felt similar and not being a Koei Tecmo Musou title there were noticeable issues. Mainly the gameplay was awkwardly paced and it took forever to clear rooms of enemies. Mission objectives were frustrating and moving from one side of the map to the other was tedious. 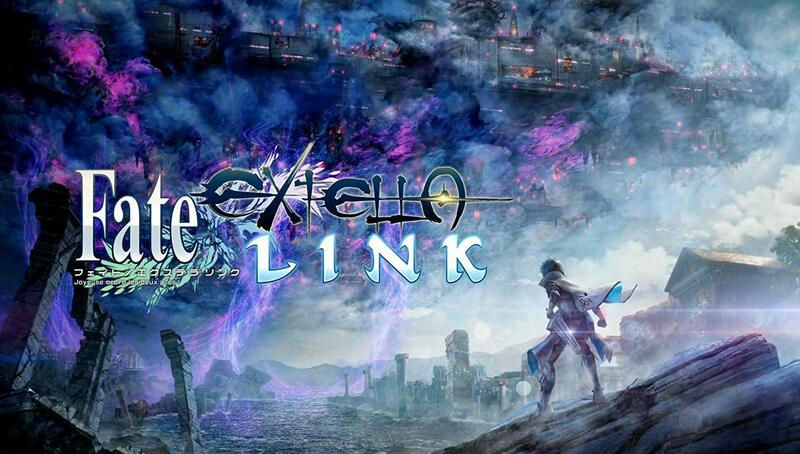 Fortunately, Fate/EXTELLA LINK has learned a lot from its predecessor and has evolved to represent something closer to something I’m used to while carving out its own identity as a non-Koei Tecmo Musou title. The story centers around you as the Master commanding your various soldiers called Servants and using them to battle a new sinister threat that threatens everything S.E.R.A.PH. (Serial Phantasm) stands for. If you are not familiar with this series than don’t expect to come into this game having any hope of picking up where the story left off from Umbral Star. Cut-scenes are frequent with heavy doses of exposition situated between each section of gameplay. Regardless, I viewed the story as second fiddle to what matters most in a title like this with a heavy emphasis on action. Gameplay is the meat of any Musou title and in Fate/EXTELLA LINK it’s no different. First off, unlike other sequel Musou games where gameplay fundamentals are kept mostly the same (maybe a combo is changed and the biggest change is in the roster), EXTELLA LINK has shaken things up by rebuilding many of the characters and speeding all the action up. Most of the combos have been entirely reworked due to the new instant skills system, which lets characters unleash up to four equippable special moves at a moments notice. The more powerful the skill, the longer the cool-down between uses. This system, coupled with faster and more fluid combos, lets you build your own devastating combos beyond simple light and heavy alterations. Each Servants semi-cut-scene special move is now tied to a single meter and works much better because of it. Furthermore, each Servants Noble Phantasm is now tied to a meter as well, which makes it much easier to build up rather than the original EXTELLA system of collecting three chips hidden throughout a stage. You can form bonds with other Servants and even team up in the midst of battle, unleashing devastating combos and parries that will shake the monsters ranks. The actual voice-less Master also plays a role too as a piece on the board, as well as having the ability to cast command spells that boost stats, revive a fallen Servant, or teleport you to any other space on the map. Everything just feels so much better and it was easy to get lost in all the action going on-screen playing for hours on end. I appreciated how the old characters felt fresh again and meshed well with the new additions to the roster who are mostly welcome in EXTELLA LINK. I was glad to see characters like Francis Drake, Robin Hood, and Lancelot Berserker return for this entry and I appreciated the diversity in the roster. I really liked Charlemagne as a newcomer and he fit seamlessly into the extended Fate/EXTELLA universe, much like Attila did with the original EXTELLA. Graphically, EXTELLA LINK looks great with particle effects and showers of light flashing on-screen maintaining a solid frame rate throughout. The animations are much more fluid and character models really showcase diversity in the cast of characters. However, in some instances this still looks like a title developed for the first generation of HD consoles and doesn’t entirely showcase what the Nintendo Switch is fully capable of, especially given how outstanding games like Hyrule Warriors and Fire Emblem Warriors look. There’s some more work that can be done in the graphics department, but at least it’s an improvement. Plus, for the most part the cut-scenes for Noble Phantasms are of high quality. Some environments were bland to look at and looked too similar in presentation with some assets and stages from The Umbral Star coming back with EXTELLA LINK. While I felt the navigation through different zones in a stage was a great way to represent which areas were needing taken over and which ones you’ve conquered, it did get somewhat annoying having to backtrack multiple times in one level. Having multiple story routes that bounced between the same areas didn’t help either. However, the music was equally as fast-paced as the action and did a great job fitting in with the overall aesthetic of the world. The voice work is the same as you would expect from the Fate/EXTELLA series with high quality Japanese dubbed voices across the board and many recognizable ones from all their different series appearances over the years. There’s also online and offline PvP. I found it to be a serviceable and fun distraction with the main mode I was playing called Sector Control, a 4v4 fight to maintain exclusive control of an area of the map longer than your opponent. It ran fairly well, and I didn’t feel like I died unfairly or was unable to set up my attacks due to lag or slowdown. You can hop into random quick-matches with a default ruleset, or tweak your own rules and make lobbies for your friends to join. Fate/EXTELLA LINK feels and plays like a real sequel, ditching the ideas that didn’t work and improving everything else to a glossy sheen. Granted, this is a Musou-like title so of course repetition and boredom may settle in, but there are enough systems in place that I believe this isn’t much of a hindrance. Fate/EXTELLA LINK is by no means perfect, but for fans of the series or Musou titles in general, there is a lot here to enjoy.